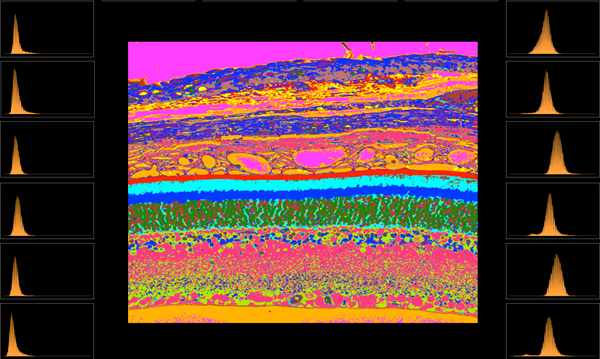 This abstract was presented today at the Association for Research in Vision and Opthalmology (ARVO) meetings in Ft. Lauderdale, Florida by Alexandra D. Butler, William D. Ferrell, Alex Woodell, Carl Atkinson, Bärbel Rohrer, Robert E. Marc and Bryan W. Jones. Purpose: Smoking is the single largest risk factor for age-related macular degeneration (AMD), aside from age. Several of the main genetic risk factors for AMD are polymorphisms occurring in complement genes involved in the alternative, classical and common terminal pathways. To better understand the metabolic impact of smoking on the retina, we used computational molecular phenotyping (CMP) and examined the effects of cigarette smoke on wild type (wt) retinas and mice in which either the alternative pathway (complement factor B, CfB) or the common terminal pathway (complement component 3, C3) was removed.